While managing IT infrastructure for any organization, over the time, things grow up a lot, only to make you feel that you can’t be everywhere, can’t keep eyes over everything, specially when management seems to squeezing human resources all the time. In place of delegation of things, responsibilities seem to get centralized over few and one just find frustrated with the tiny details he needs to care about all the time. Is it time to be negative about the responsibilities or come up with a new and positive approach? Do some more hard work or keep yourself updated with cleaver work? Really being an “IT Guy” sounds tasteless … here comes SpiceWorks … spicing up IT as it says. An adware and is written in Ruby on Rails, Its not a complete and detailed Monitoring Solution like Zabbix (I already wrote about), but for me it covers another other aspects of your IT management that Zabbix left, in a powerful way like Inventory, events reporting like installations/ updates and complete out-of-the-box-Helpdesk segment. Having Inventory of all your hardware’s and Software’s is something as important as having control over each aspect of your servers. 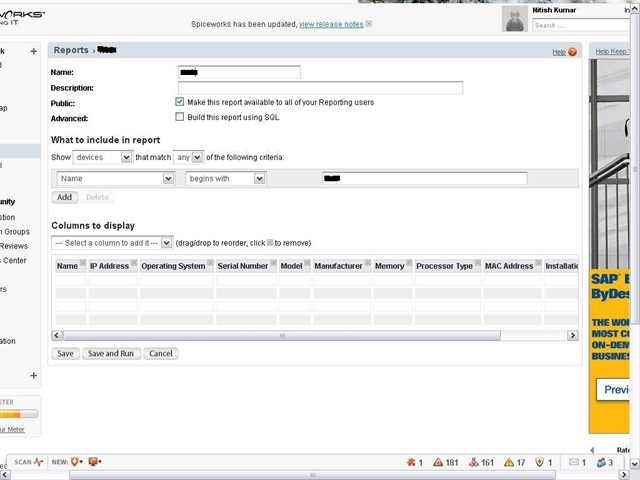 An Inventory not only helps IT staff, but could be a key document for management as well. But the most tedious part is to keep it updated and you always wish that there is some solution that might be doing the job for you without any manual intervention. SpiceWorks does the same job very well, lovable because it doesn’t requires any client side installation and still keep you updated about any changes done in your infrastructure. 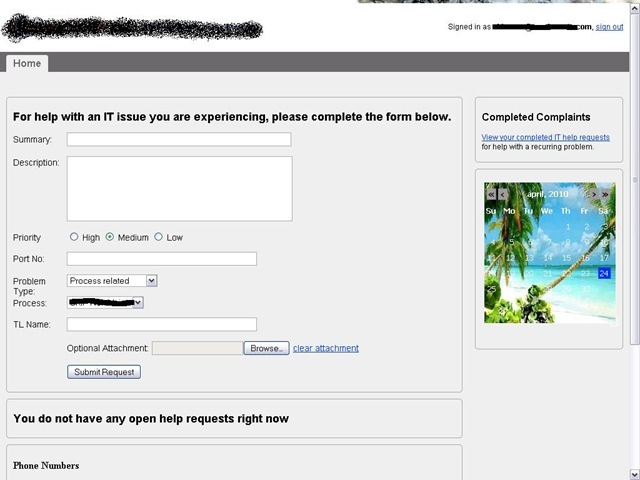 The other important aspect of SpiceWorks in my scenario is Out-of-Box ready to roll Helpdesk solution. A helpdesk keeps your support efficient and ensure resolution of issues within time frame. Not only evaluate individual’s skill sets, but also provide a complete view for IT Staff and management that how well or worse they are providing support. Not only that it may also reduce common calls that requires little IT interventions and could be dealt by non-IT Staff because, it grows up with an open database of resolved calls with causes and comments about the resolution. As its not always the case that you get a fresh server to install a new application, one should worry about two things with installing any of the web solution, first if its going to take the default http port 80 and if the database its going to use already exists on the same server, you are going to install SpiceWorks IT Desktop. Thankfully, SpiceWorks goes well about both the cases. It takes port 9675 (Of course, choice is yours) for HTTP and the database used is not MySQL, but is a SQLite database. ~24 M of installation take a little while to install and greet you with a couple of questions about your network like range of IP Addresses to scan, various Windows username/ passwords details possibly across your network, ssh credentials and you are ready to scan your network for finding devices. Yeah! 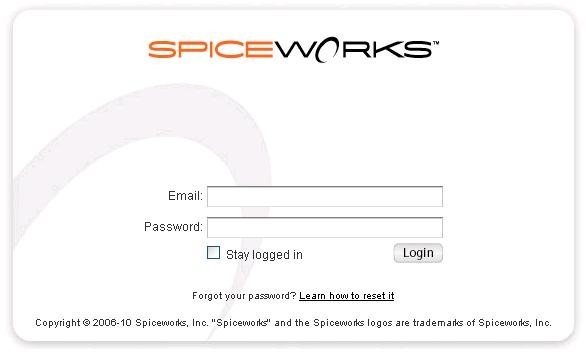 As the very first step, it asks you to get registered with Spiceworks, which would be your one point help system and integration of your account with web resources. There are also services related requirements on client side like WMI related services should be in running mode and firewall should not be blocking SpiceWorks access. I am not sure that Remote Registry Service is required or not, but possibly that is also in set of requirements on client side. Go for a complete network scan and in just few minutes, you should start getting discovery, monitoring, and alerting items from all over your connected network. 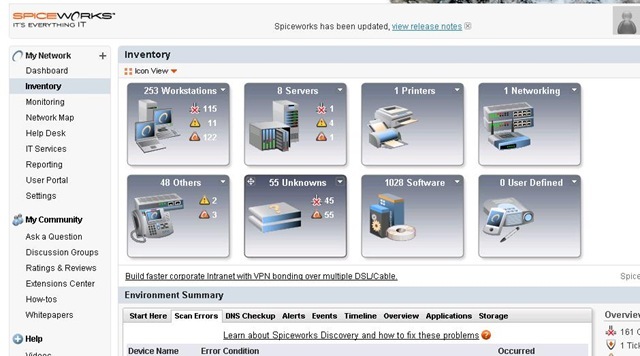 I think it would take a few days for you to manage all of the devices showing up in Inventory Dashboard of SpiceWorks. After the same, one could go for the first amazing part. Click on Save and Run and few minutes more will present you a perfectly made, Excel/ PDF/ CSV exportable inventory of your network. More of it, this report will be saved with you to re-run later on for finding more current status of devices. Adding a new face to your IT Support, profits of a fully equipped Helpdesk really could amaze you and your clients, if you never worked before with any kind of IT Helpdesk. Many even might be running their home made CRM to keep it flexible for meeting their needs. This might come to surprise many in the fact that its totally free of cost and still works like a charm. 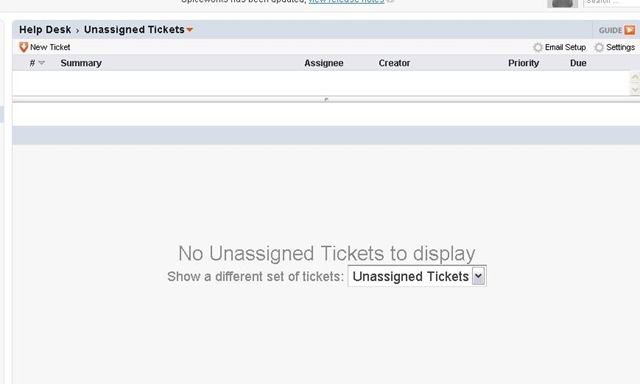 Just click over Helpdesk to find the tickets (http://localhost:9675/tickets) being displayed there with filters like Open Tickets, Closed Tickets, Unassigned Ticket etc. 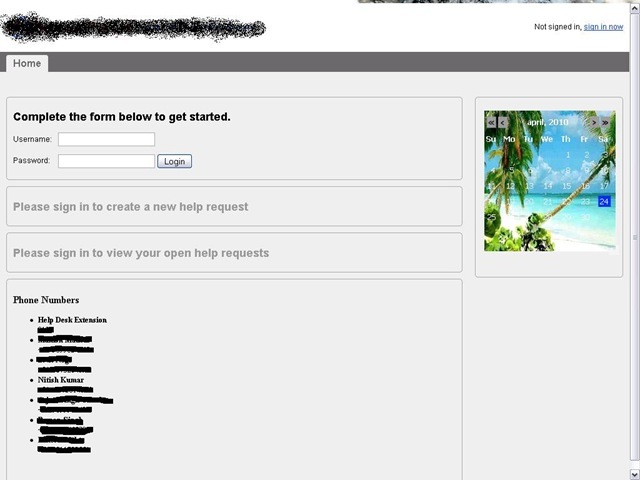 Now you have two ways; either let IT Staff lock the complaints themselves with details or even pass the responsibility to actual users themselves via portal (http://localhost:9675/portal) that could be flexibly customized through (http://localhost:9675/user_portal) like let me show you mine one.. There are many details left to be explained in this article, much left for even me to understand and learn through, still waiting for some book (SpiceWorks community seems to be working on the same http://bit.ly/antjqa) … even then like Zabbix, I find SpiceWorks IT Desktop kind of must recommend for any IT Administrator. SpiceWorks official Twitter page has introduced me with their few free training and demonstration videos, which you can go through to know that what this could do for you. Let’s spice up IT a little (in fact a lot). except this paragraph offers good understanding even.